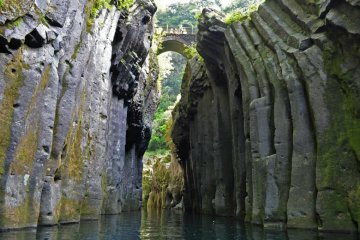 Takachiho is located deep in the heart of Kyushu, in northern Miyazaki. 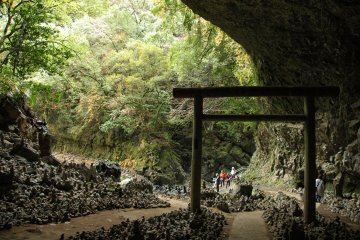 A remote, rural area steeped in myth and legend, it is widely believed to be the location where Japan's sun goddess, Amaterasu Omikami, descended to Earth and promises scenic beauty and divine discoveries. 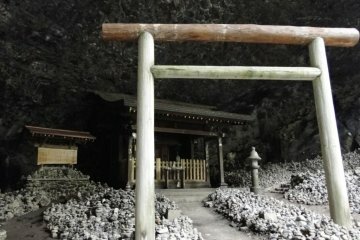 Climb into a rowboat at Takachiho Gorge or watch a night kagura performance shown daily at Takachiho Shrine. 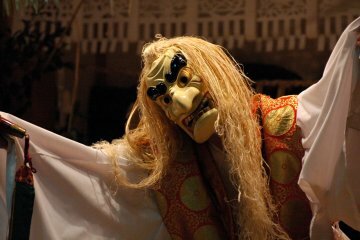 The Yokagura dances, a tradition passed down for hundreds of years. Gods and goddesses come to life!